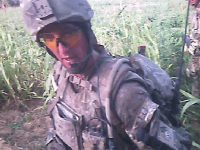 A British soldier jailed for killing an injured Taliban fighter in Afghanistan was freed on Friday after his sentence was reduced from murder to manslaughter, his lawyer said. 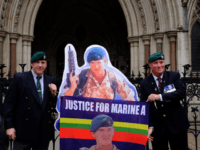 Royal Marine Alexander Blackman – better known as ‘Marine A’ – will be released from jail tonight, weeks after having his murder conviction overturned. 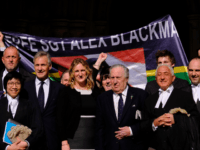 Sergeant Alexander Blackman, know as Marine A, will receive police protection when he is released from jail after it emerged he is a terrorist target. 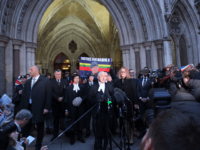 Senior officers blocked witnesses from giving evidence which would have exposed the shambolic state of affairs on the frontlines of Afghanistan during the trial of Sergeant Alexander Blackman, known as ‘Marine A’. 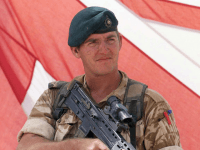 A Royal Marine imprisoned for shooting an injured Taliban fighter has won his appeal against his conviction. 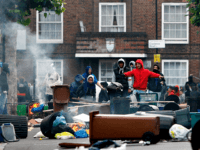 New guidelines drawn up by the Sentencing Council instruct judges to take into account the “discrimination and negative experiences of authority” experienced by “black and minority ethnic children and young people” when handing down rulings, in “a complete reversal” of the principle that “the law is the same for everyone regardless of background, race or gender”. 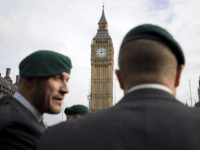 LONDON (AP) — Lawyers for a British Royal Marine commando on Tuesday asked a court to overturn his murder conviction for killing a wounded Taliban fighter in Afghanistan, arguing that mental health problems mean he wasn’t fully responsible for his actions. 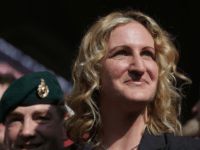 The conviction of a Royal Marine, known as ‘Marine A’, for the murder of a Taliban fighter may be quashed, as review of the case found that Britain’s most senior military judge mishandled the trial. 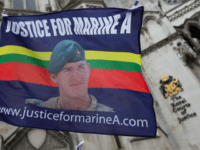 Jailed marine Sergeant Alex Blackman will not be released from prison for the time being, as the Royal Courts of Justice have decided to defer a decision on his bail hearing until next week, the most senior judge in England and Wales has ruled. 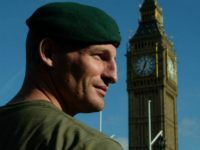 Jailed Royal Marine Alex Blackman, jailed in 2013 for killing a Taliban fighter, will learn today whether he will spend Christmas at home with his family as the court hears a bail application. The serviceman who is known as “Marine A.” may have a chance to go free as a new review has led to doubts over his murder conviction for the killing of a Taliban captive in Afghanistan. 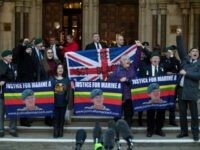 Hundreds of supporters of “Marine A”, who was jailed for shooting a mortally wounded terrorist in Afghanistan, have rallied outside Parliament today to renew calls for his release from prison. 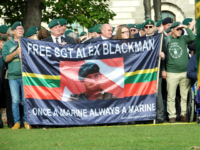 Over 1,300 member of the British public are to march on Westminster tomorrow to protest the incarceration of Sergeant Alex Blackman – known as ‘Marine A’ – but the Ministry of Defence has told serving troops they are banned from attending.